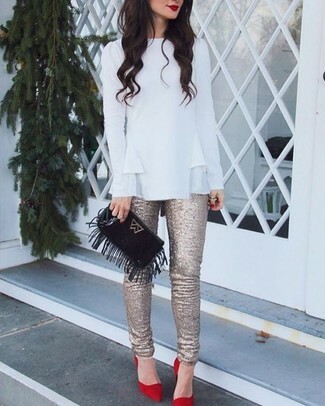 If you're a fan of comfort dressing when it comes to fashion, you'll love this extra cute pairing of a black turtleneck and a black fringe suede clutch. Wearing a pair of black embellished suede heeled sandals is a simple way to add some flair to your ensemble. A white ruffle long sleeve blouse and a Saint Laurent fringed leather clutch is a nice combination to add to your casual repertoire. Up the cool of your getup by finishing off with red suede pumps. 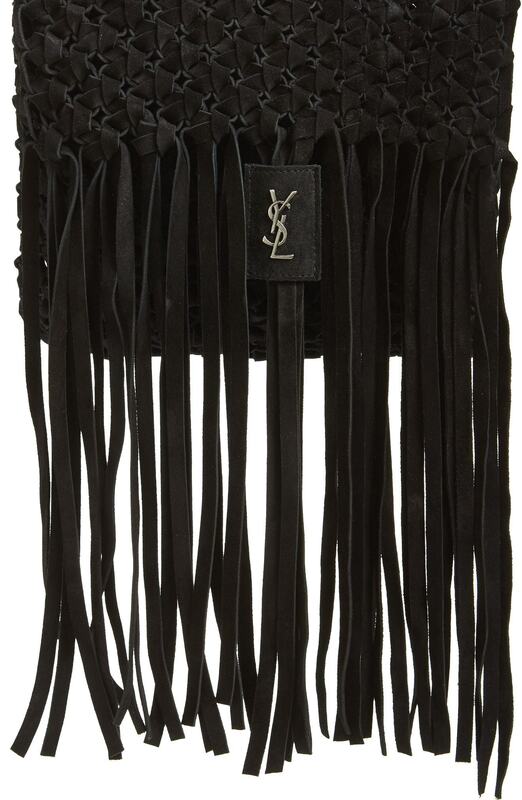 Wear a black leather biker jacket and a Saint Laurent fringed leather clutch from Nordstrom, if you want to dress for comfort without looking like you don't care. When it comes to shoes, this getup is finished off nicely with white leather high top sneakers.